Tastes that touch my soul. These are just a few of the many unforgettable meals I have been lucky enough to indulge in recently. 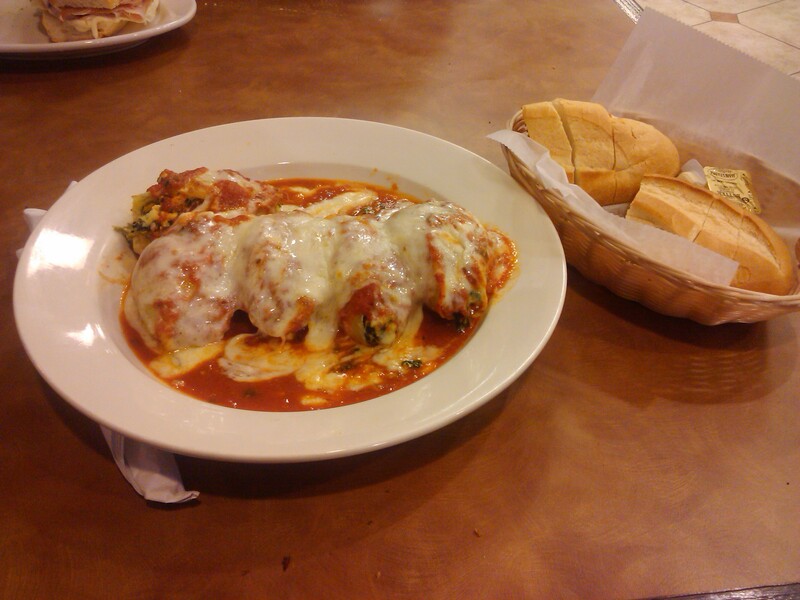 Whether they were homemade by loving hands or enjoyed while dining out with friends and family. There are certain aspects about these dishes that stand out in my mind, and hold true to my heart. I want to share them with you. 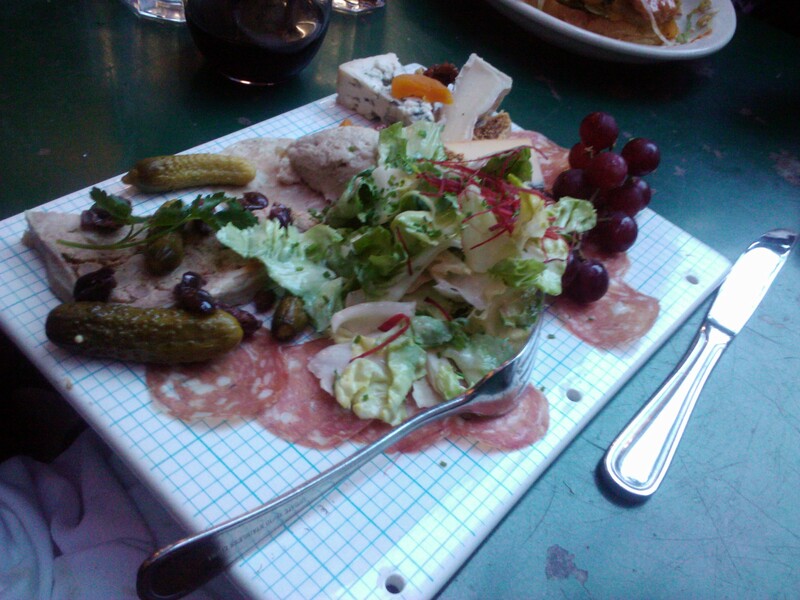 Charcuterie platter with cornichons, pate, figs, olives, grapes, Gorgonzola and Brie cheeses & with Soppressata salami. We went to a downtown jazz cafe (Jule's) for my buddy Tracey's birthday. An important glass of cabernet is not shown here. 😉 This is my favorite thing to eat. 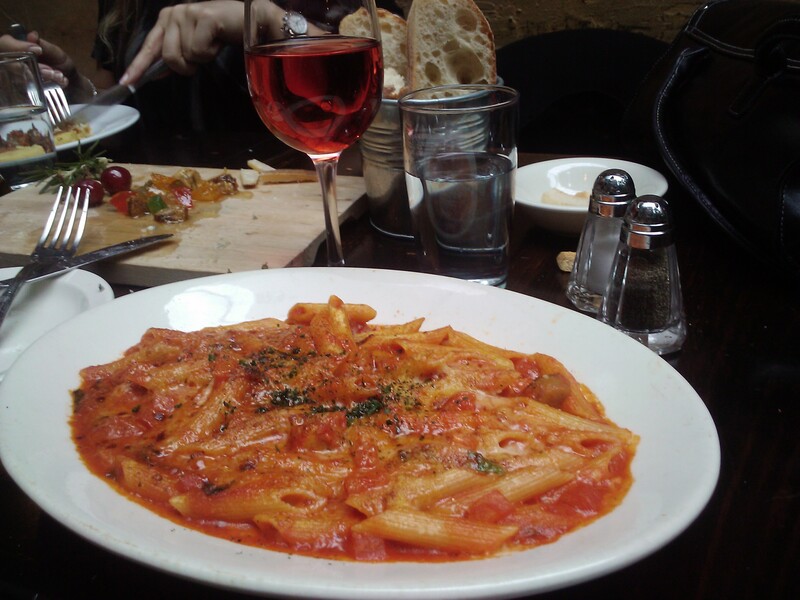 Penne pasta in tomato sauce with mushrooms and basil paired with a crisp glass of rose wine. This is the first pizza I've ever made. 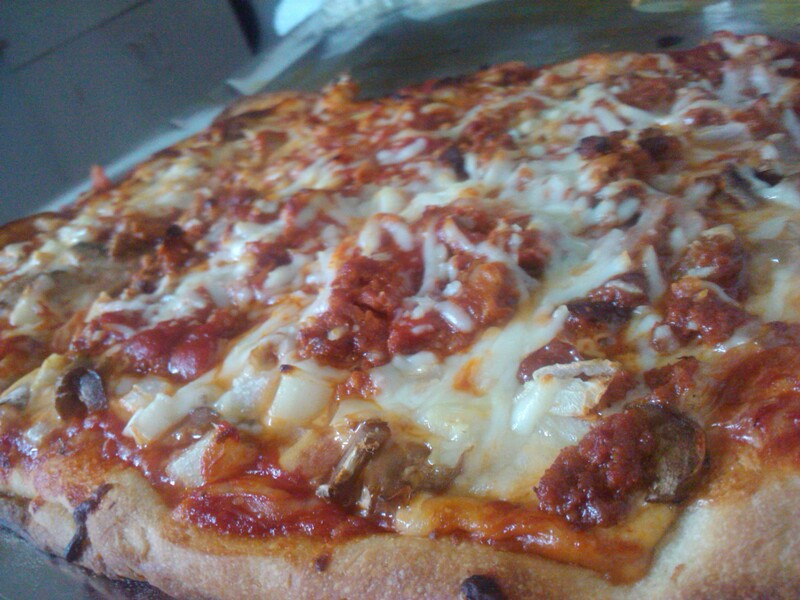 Topped with chili, three different cheeses and mushrooms. SO tasty! Shrimp over a bed of veggies, Italian style. Also served at "Uva." 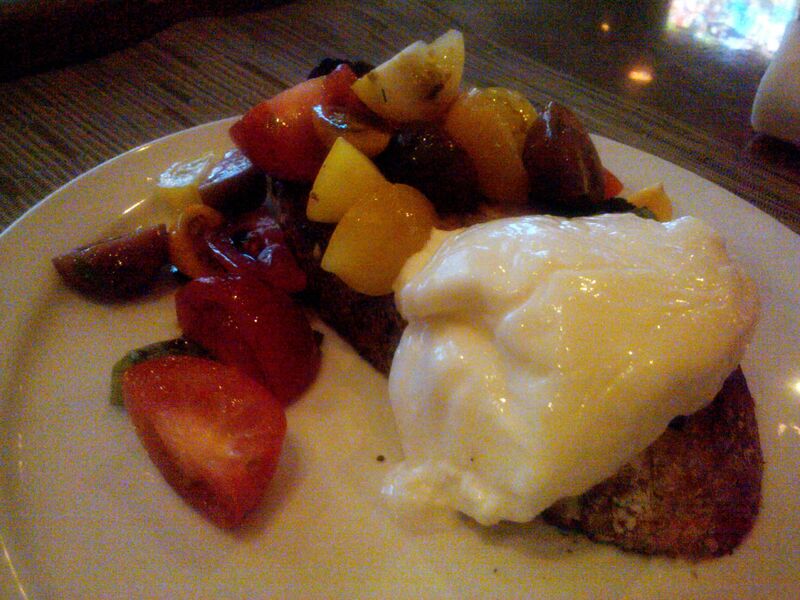 This dish is called Burrata and is one of my absolute favorites, served in my home away from home "Lily's Restaurant." Heirloom tomatoes, fresh Burrata cheese, basil, crispy bread, balsamic vinegar and olive oil. Simply delicious. 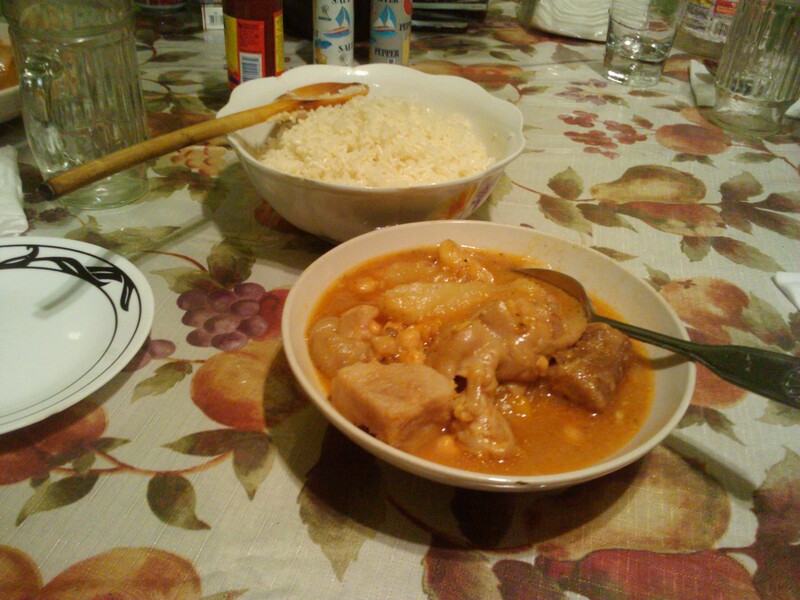 Stewed patitas de cerdo (pig's feet) served with a side of white rice. This dish is indigenous to Latin America and other parts of the world. My mom and I made this meal together. It contains root veggies such as yuca, (cassava) green bananas, chick peas and a ton of love. 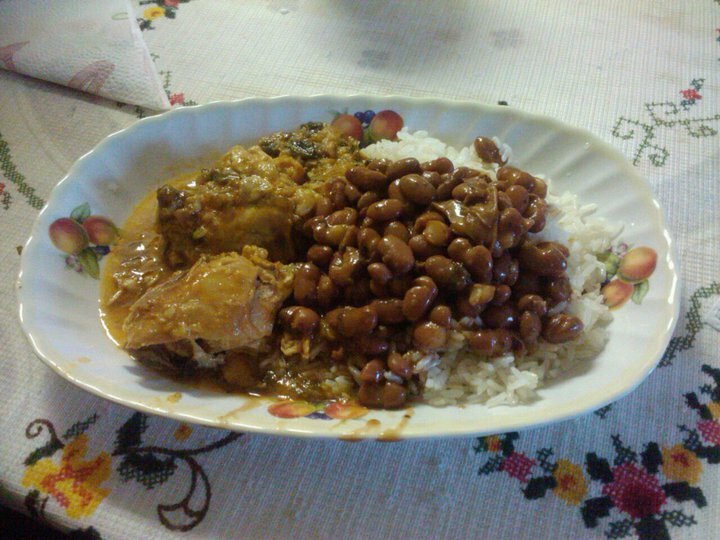 My paternal grandmother, Aurora, made this for me with her loving hands, Arroz con pollo y habichuelas. This is a true treat, because I rarely see her. Each bite is like a warm hug. I made this dish one Sunday evening with my friend Carlos from Venezuela. It was so yummy! 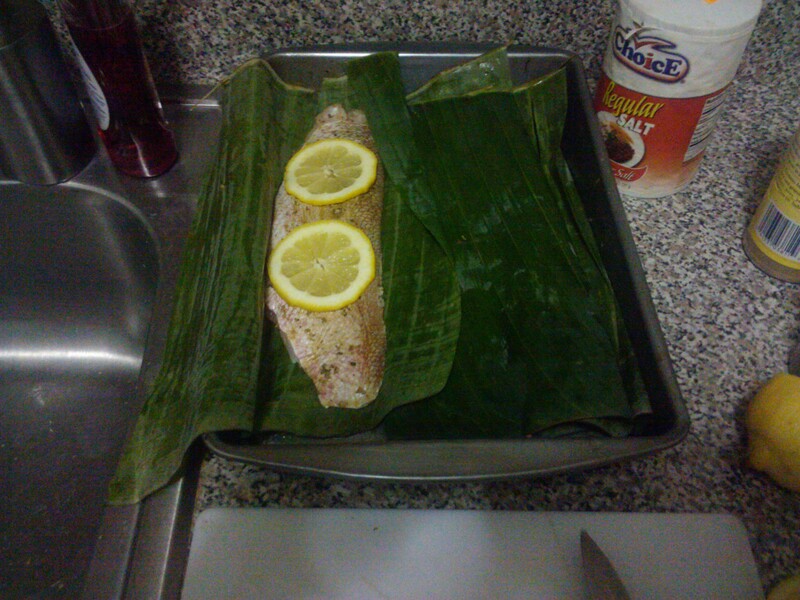 Oven roasted Red Snapper in a plantain leaf. Served with a side of yuca and and asparagus. Lobsterbake at Henry's Rooftop at The Roger Smith Hotel. 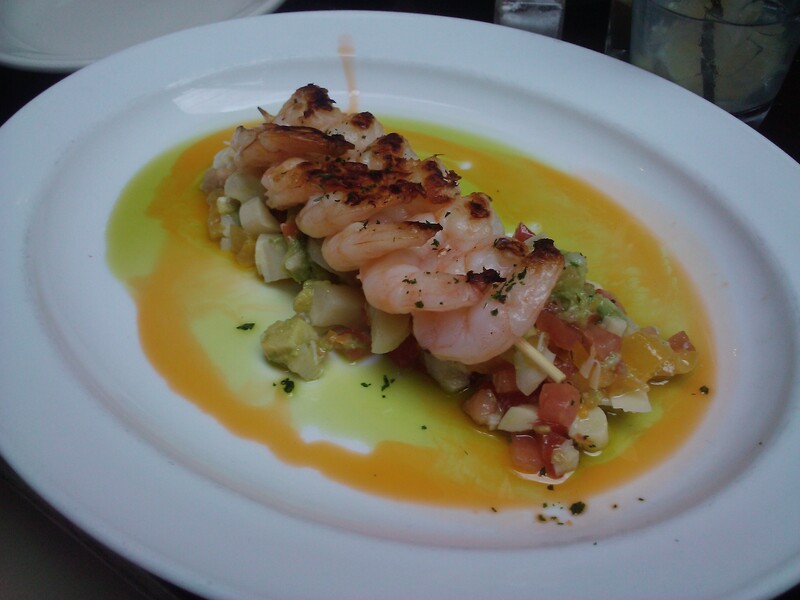 If you are a seafood lover such as myself, I can't stress to you enough how special this dish is. 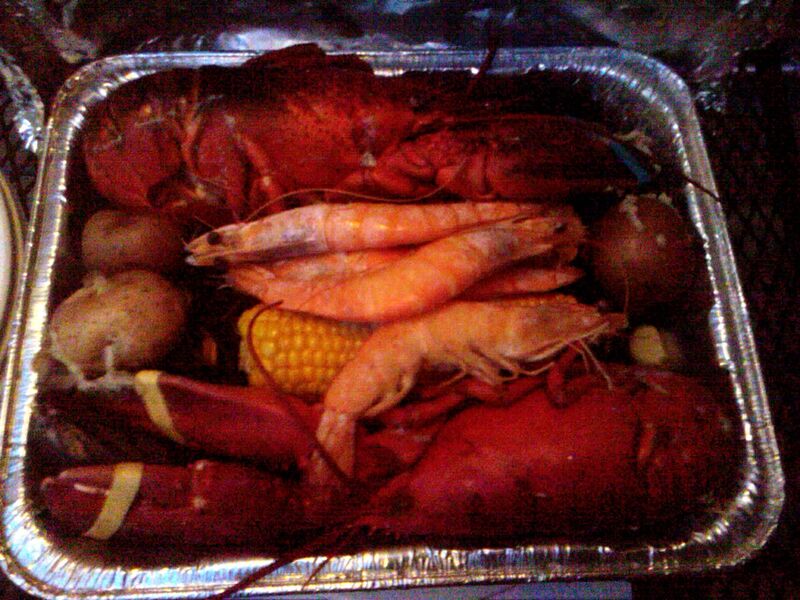 Every Wednesday evening: Fresh whole lobster, Littleneck clams, mussels, prawns, potatoes and buttery corn on the cob. This is fun food from heaven! 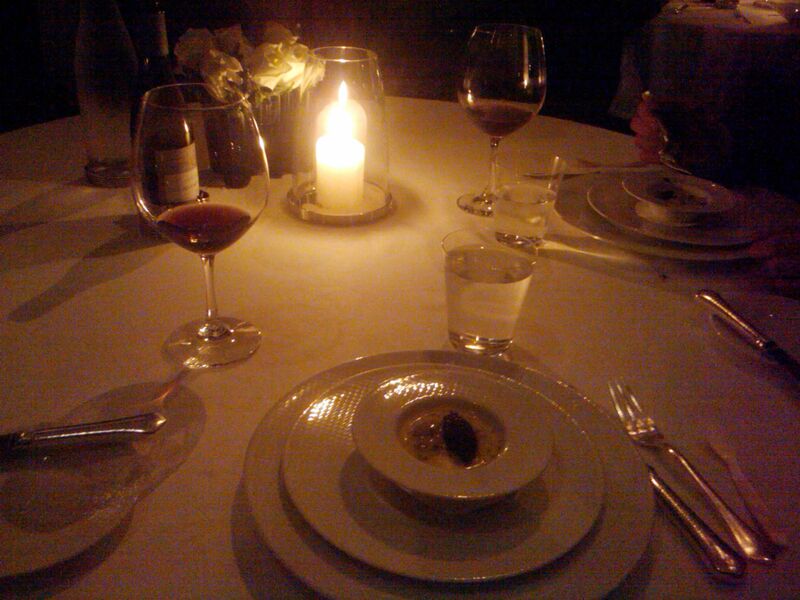 Date night at Thomas Keller's "Per Se." Oyster pearls, just one of nine courses. 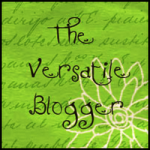 This was a truly unforgettable dining experience. This dish is one of my very own unique creations. 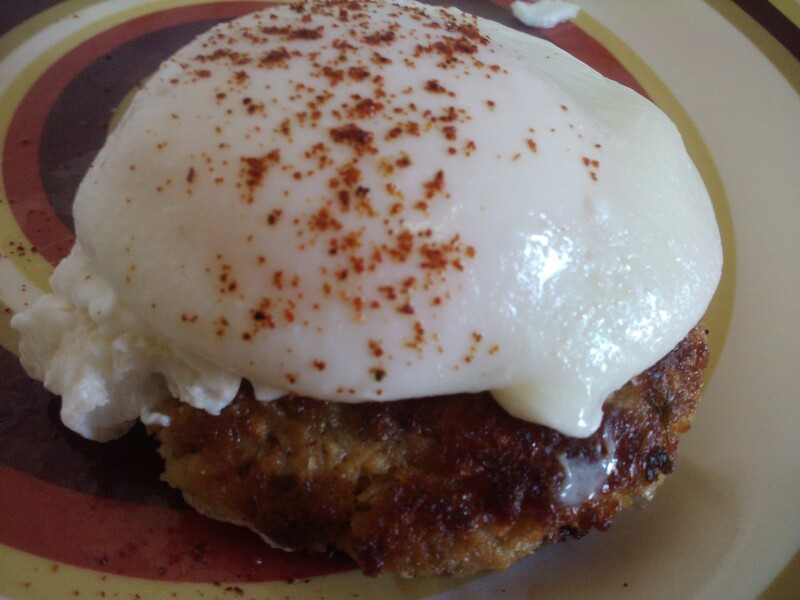 Poached egg, with a touch of paprika for a splash of color over a salmon croquette. Specifically designated for my "cheat days" of the week: stuffed shells covered in a garlic basil tomato sauce, oozing with ricotta and mozzarella cheeses. Served with warm bread and butter. 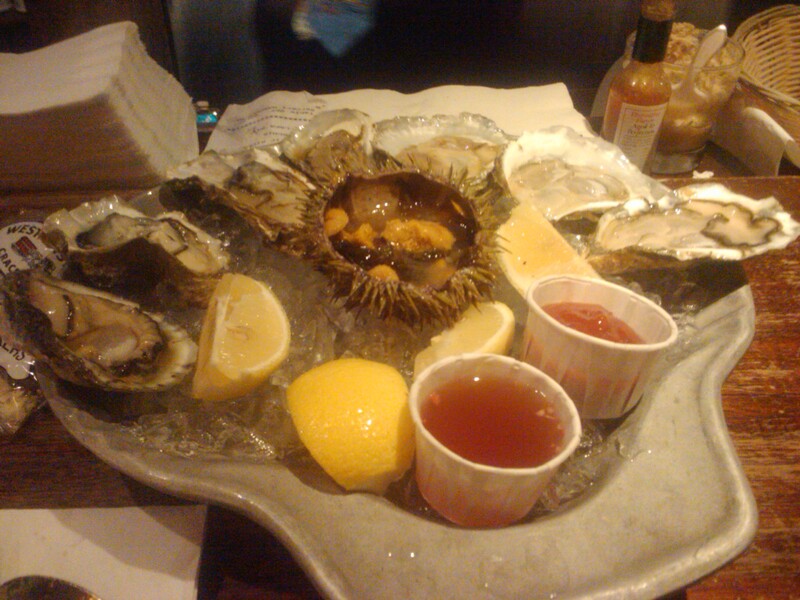 Oysters and a sea urchin in the center of the plate served at the historic Oyster Bar at Grand Central Station in NYC. As I chat with one of my favorite bartenders, Marcelo, I also enjoy an iced cold beer and some oyster greatness. 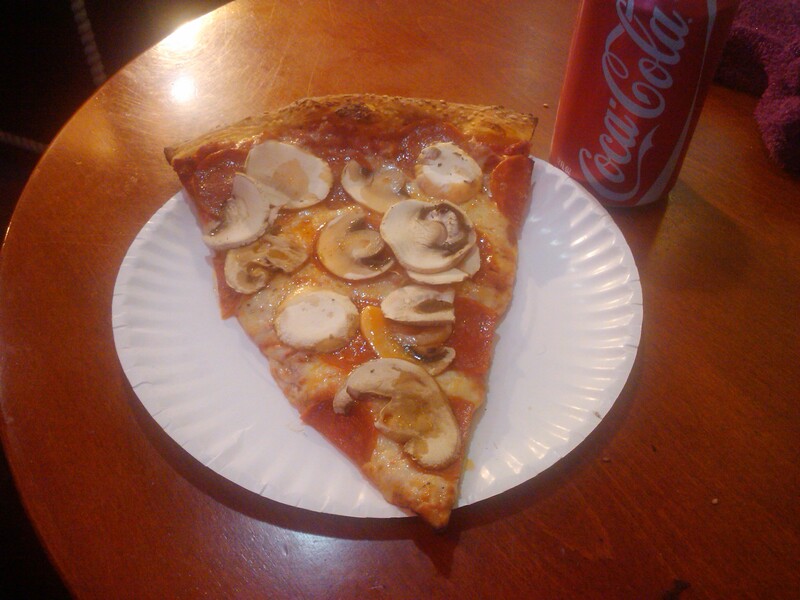 Trust me, my mouth was salivating as I took this picture.